February « 2009 « Welcome to Property Source Nation! Bedrooms need extra attention when preparing your house for sale. The larger they appear the better. As difficult as it is to remove personal items that are important to your day to day comfort, you have to make the top priority getting your house sold FAST! Try and make all bedrooms gender neutral. Cream/white will still match your child’s special things. One trick I do frequently is to use the opposite side of a comforter if it is a solid color. Purchasing new curtain sheers for $4.50 a panel is a great idea. This allows you to take some of the “personality” out of a room. If you have a special comforter set ensemble taking down the window treatments now will save complications later when a buyer wants all window treatments. Your master bedroom deserves even more attention. Remove all visible items off of the dresser and night stands. Pack clothes you won’t need and use metal hangers for the ones remaining clothes in the closet so that closets appear more spacious. Every buyer would love a lavish master bedroom. A fresh neutral paint job in a warm beige color with white trim is a huge, classic, and inexpensive way to improve the look of the room instantly. Again, in this case the bigger the better. If you have a king bed that monopolizes the room, consider borrowing a queen sized bed to help your room appear larger. Buyers should see your bed as the focal point of the room. Consider purchasing a new bedding ensemble or comforter that is (sorry to repeat myself) neutral. Add at least one set of pillows to make the bed look extra comfortable. Accent pillows can be made easily by taking a bed sheet or pillow case and wrapping it around any pillow. Draping a soft throw on the end of the bed in a contrasting texture from the bedding with a breakfast tray is a lovely touch. Remember, you are staging the room, not decorating it. If you don’t have a bedroom set or a headboard above your bed create that look by adding a mirror with a couple of wall sconces with candles. LED pillar candles are now available. They are great to use so that you can turn them on before each showing and not have to worry about the potential of them being left on. Metal garden fence borders make great “headboards” with a little spray paint. You can also take a piece of cardboard, glue towels to it and then staple on a neutral fabric with large brass/wrought iron buttons or round drawer pulls for a headboard. If there is a way to have a small seating area, even if for only one chair and a floor lamp, buyers love that potential. As you’ve heard many times, a picture means 1000 words. Most home buyers are stretching their budgets to purchase a home they plan to grow into or use as a starter home. Taking a few extra steps preparing your house before putting it on the market will help sell it more quickly. If you have more questions on home staging, let me know! The $8,000 tax credit is a “clean” refundable credit, unlike the one that was passed last summer. The $7,500 tax credit made available last summer was not a true credit, as it required repaying the credit back to the government over a period of time. Under the latest tax credit, qualifying first-time buyers (i.e., have not been a homeowner in the past 3 years), can claim the $8,000 to reduce their tax burden. If the $8,000 is greater than the tax paid, then they will receive a refund check for the difference. (Example: You owe $2,000 in taxes on April 15, 2010. If you purchased a home before the stimulus expiration, you will receive a tax refund check for $6,000 from the IRS.) It is recommended that you consult with a tax professional, as individual variations will apply. The current $8,000 tax credit is expected to boost home sales by 300,000 from first-time home buyers in 2009, which will further trigger trade-up purchases. Home buyers requiring mortgages must still meet the current market qualifying standards. Those who might not qualify, or those who are not financially prepared to assume the responsibility of homeownership should not enter the market. The Woman’s Council of Realtors named Terri Granger, Co-Broker of Re/Max Plus, the WCR Business Woman of the year. Presenting the award was last year’s recipient Carolyn Stiffler and Kitty Van Bortel, founder of Van Bortel Ford & Subaru automobile dealership. In front of a packed house at Mario’s Italian Steakhouse, Terri was recognized for her lifetime achievements and dedicated service to the real estate community. 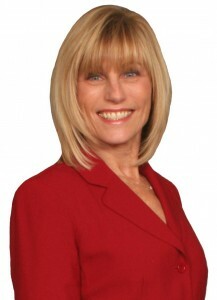 Terri started her real estate career in 1984. In May 2007, Terri and seven other RE/MAX Brokers started their own real estate company, RE/MAX Plus, located at 2171 Monroe Avenue. Terri has achieved many real estate awards, but she is most proud of The RE/MAX Platinum Club for 2006 & 2007. Terri is a giver of time and a giver of resources. She has mentored many real estate associates along the way – giving time, knowledge and experience to them. With a strong sense of community, She volunteers her time to the Susan B. Anthony House, Christian Bible Church, Muscular Dystrophy, Habitat for Humanity, Strong Memorial Hospital-Children’s Miracle Network and the University of Rochester Asthma and Pulmonary Care. WCR, Women’s Council of Realtors, is the twelve largest Women’s Professional Group in the nation. The largest chapter is Rochester, NY having 204 members. The average WCR Member’s income from real estate is $117,900 compared to full-time realtors who make $52,200. WCR supplies their members with education, networking, referrals, marketing, leadership development and professional support materials. WCR’s Rochester Chapter is in the process of launching a marketing campaign to educate the public about working with a WCR Realtor Member, as well as additional press to promote our members. Please contact Mary Anne Cimbricz, 585-703-7355 or Kimberlie Barrett, 585-233-6111 to talk more about becoming a member. Bob Malone, sales manager of the Chili-Ogden branch of Nothnagle Realtors, earned the prestigious “Certified Real Estate Brokerage Manager” (CRB) Designation presented by the Council of Real Estate Brokerage Managers. The CRB is recognized industry-wide as the measure of success for real estate brokers and managers. REALTORS® earning the designation have completed a comprehensive program combining experience with management education. The Council is a not-for-profit affiliate of the National Association of REALTORS® with almost 7,000 members in North America. Innovative and result-oriented programs, products and services are continually being developed to enhance the productivity and profitability of Council members. Bob’s career has spanned over 25 years and achievements include serving as Chairman of the Greater Rochester Association of REALTORS® in 2000, and winning multiple Sales Master and Sales Master Gold awards for sales production. An active volunteer, Bob is involved with numerous community activities including Easter Seals, Hospice House, the REALTORS® Charitable Foundation, and his church. Married to his wife Beth for over 25 years, Bob is the proud father of two girls. In addition to the CRB, Bob also holds the Certified Residential Specialist (CRS) and Graduate REALTOR® Institute (GRI) designations. Bob can be reached at (585) 349-6000. I know they were all alive just seven years ago when terrorism cost the lives of three thousand American citizens. That headline goes beyond sensationalism. It is rude and insensitive. Would someone please tell these academic fools that housing is local in nature? While many major markets suffered and are suffering from the overzealousness of investors followed by the overzealousness of foolish subprime lenders, there are many markets that are healthy and many more that are suffering a softening but nothing close to a collapse. These gloom and doom headlines supported by a minority of questionable economist opinions feed the problem they are describing. While the facts support the opposite conclusion. Even the economists own research supports the opposite conclusion. In the same article, “Asked to look five years into the future, 42 percent expected US home prices to remain flat, 41 percent said prices would rise.” Then how did 34 percent of the same group call this a bubble that is fed by a threat bigger than terrorism. Hooray for those groups. They got it right. There are some local bubbles where there were hundreds and thousands of development parcels and homes developed and built in anticipation of future sales and the sales that were feeding that demand was investor speculation (Boise and Sarasota to name two). In late 2005 and through 2006 the investors realized that the boom was being fed by their own demand so withdrew. This left tremendous inventory in some cities or areas of cities. Unfortunately, in 2006 this was immediately followed by the secondary market lenders realizing that they had allowed a foolish combination of underwriting standards for the previous five years or so. They were buying loans that allowed buyers to have both, little or no down payment and marginal credit. How this happened (and who should be prosecuted for it) is a mystery that will likely remain unsolved. The result was in some communities around the country, particularly where there were high priced homes and with less sophisticated buyers; many of these mortgages were used to purchase homes. That created additional pockets of excess inventory which stalled prices in those areas. Now the majority of lenders loaning jumbo loans, over 417,000 have stopped funding these high-end loans for some period of time. This will further increase inventory and dampen prices in some areas. Notice the language, dampen prices in some areas. Most of the country is experiencing a normal buyer’s market that normally follows a long healthy seller’s market. The latter group of economists put it perfectly. The market is functioning correctly. In 1986 after two to three years of a soft buyer’s market not unlike what we are experiencing now (although it was driven by different causes) there was a long strong period of a healthy seller’s market with steady appreciation. There was a momentary softer buyer’s market around the Gulf War in 1991 (although not caused by it) followed by over a decade of a healthy buyers market that lasted until 2006. If we learn from history strong seller’s markets last longer than softer buyer’s markets. So again the economists got this right. The same article said 58% of the economists predicted a ‘meaningful’ recovery in U.S. housing markets before the second half of 2008 or in the second half of 2008. The majority of the other 42% predicted the recovery in 2009. This is completely consistent with history. This two or three years of soft buyer’s market with slightly flattening prices will likely be followed by five or more years of a healthy seller’s market with equally healthy price appreciation. REALTORs® all learned in their first Real Estate class that the market is driven by supply and demand. So as long as there is an increasing population of people with reasonable or better incomes, the demand will keep the market healthy. Add to that the fact that the Federal government repeatedly states that they realize that the Real Estate market is critical to the health of the economy and they will do whatever is necessary to keep mortgage money available. If you are associated with Real Estate, please separate the sensationalism from the truth. If you are in most communities in this country everything, is pretty normal. Prices are appreciating a little slower but still appreciating. Houses are on the market longer. Buyers are fussier. Yes, it is tougher to sell Real Estate. But you still have one of the best jobs in the world with more personal freedom and opportunity for success than any other business person or professional on earth. If you are in one of those tougher markets, my heart is with you. You do have an uphill battle for another twelve to twenty four months. You have my strongest wish that you can survive and succeed through this. I love this business for what it provides to our society, the people in it, and the strong bright professionals that make me proud to be a part of it. Rich Levin is a nationally known coach, educator and speaker. Rich has been in the Real Estate Business for over 30 years with the last 15 dedicated to coaching and speaking. His specialty is working with productive Real Estate Agents and Brokers taking them to their highest levels of production and performance in their business and in their lives. He is a regular contributor to various Real Estate publications and has spoken at events from small offices to NAR convention as well as coaching top Agents from across the country. He is CPBA and e-PRO certified. For many this past year has been difficult. Many Agents’ have left the Real Estate Business and others are struggling and probably thinking of leaving this wonderful business. But some Agent’s are having their best year ever. How do you ask? The answer is that these Agents simply shifted their state of mind. You may think that this sounds hokey but it is true. It is grounded in medicine, how your body works, your psychology and how your mind works is critical to your success. By regularly applying the following simple process you will shift from concern and procrastination to focused, positive accomplishment. There are three basic ways to shift your state of mind. First, do ten to twenty jumping jacks to get your blood flowing. And third focus your thinking and focus your mind on what could happen that day to make it a great day. Think about this. You are sitting at your desk. You are bored, or tired, or feeling lazy. Your shoulders are slumped your mind is focusing on some aspect of your business that reinforces your negative mood. Then, your mobile phone rings and you can’t exactly remember where you put it so you run around to look for it. You find it, slightly out of breath. The person calling is a past Client who tells you that he/she is getting married and wants you to list both houses and sell them a much bigger one. The new spouse is independently wealthy and not only are they going to buy a big house from you but they are willing to be completely cooperative on price because they realize the nature of the market. Plus they want to invite you to the wedding and introduce you to all the people in the spouses sphere as their REALTOR®. After that call your state changes from a mild depression to focused, energetic and enthusiastic. It happened in an instant. And it happens because three things changed. First your physiology changed as you ran looking for your phone, then your focus changed as you got the great news. Then as you understood the nature of the call the meaning of the news kept expanding and getting better in your mind. You don’t need this example to really happen although it would be nice, you can change your state of mind by simply doing the above three steps. Now that you have started to shift your state of mind you need to put steps into place to reach the goals you set. Create a strategic business plan. What I mean by that is create a plan that is both realistic but also includes the steps to accomplish the goals that you set in your plan. You accomplish this by first committing to spend thirty minutes a day for a maximum of fifteen days on your business plan. This creates the habit. After all, it is the health and the success of your business we are talking about here. As you start your day powerfully day after day this leads to more successful days, as those kinds of focused days, those days full of accomplishment, stack up day after day your business rises to its next level. Begin your habit of taking five minutes a day before you open your e-mail each day, what I call five to thrive. Then take thirty minutes once per week before you open your e-mail to add focus power and leverage to your day and your week. In those five minutes before you open your e-mail you are going to do three things. 1. Record new appointments, sales and listings that occurred in the last day … and as you do … look at your numbers for the week, the month and the year. 2. Consider what your priority project is for the week and where you are in relationship to its accomplishment. 3. Choose the action you will take that day to reach your appointment goal for the week and to move your project for the week to completion. Then once a week take a half hour instead of five minutes. Choose one day of the week. On that half hour day, in addition to doing the previous three things; you will also do the following three things. 1. Choose a priority project that would be of greatest benefit to you. Or look at what project or system you are working on and your progress over the past week. 2. Choose what you want to accomplish on that project or system for the next week. 3. Schedule time in your calendar to do the things toward the completion of that project that will move that project forward or get it complete. Never give up on this habit. If you do nothing on the project or haven’t even chosen a project, never give up. Just keep that weekly appointment with yourself. I promise you that within a week or two you will both have a project chosen and you’ll take action toward it. I just mentioned a mantra of mine; Five to Thrive. The five minutes a day are going to give you focus all day, insight into your business that you have never had before, vitality which means energy for the day and enthusiasm for your business and toward the people you encounter throughout the day. Now, this is not for everyone. Some of you enjoy your lousy attitudes so much that you don’t want to change it. You are so certain that your days can’t be that good simply by taking responsibility for your state of being. And you may have other reasons you discount these ideas. For those of you committed to having a great business and a great life, put what I have written here into practice starting today. You have my sincerest wish for a successful year. Nothnagle Realtors held its annual awards event on January 30, 2009, at the Doubletree Hotel. 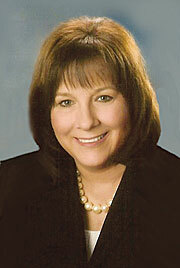 Marcia Glenn, Associate Broker with the Penfield branch, was recognized as the company’s top sales agent for 2008. Licensed in 1992, Marcia has been affiliated with Nothnagle Realtors her entire real estate career. She has been in the “Top 30” since 1994 and has been the #1 agent in the Penfield branch for several consecutive years. “Marcia is very dynamic, passionate and fun to be with. She is a loyal friend and a proud mother and grandmother. In business, her clients are her top priority and she frequently goes above and beyond the duties of a Realtor. Marcia genuinely cares about each and every person she works with and takes great pleasure in helping them achieve their dreams. It is an honor to work with someone so determined, knowledgeable and professional,” said Marcia’s business partner and Nothnagle Realtors Sales Associate Christie Nasello. Marcia serves all of Monroe County and the surrounding areas and has over $150 million in career sales. Since 1994, Marcia has been the recipient of numerous awards, including Sales Master, Sales Master Gold, Sales Master Platinum and the Zenith Award. She is an accredited Domestic and International Relocation Specialist. Marcia is a lifelong resident of Rochester and she strongly believes in the strength of our community and all that it has to offer. Her expertise, passion and ability to get the job done deliver a truly extraordinary experience to all of her clients. Contact Marcia Glenn and The Glenn Advantage Team at 248-1064.